An upgraded model of SpaceX’s Falcon 9 rocket fired into orbit early Sunday from Florida’s Space Coast, hoisting a record-setting 7.8-ton communications satellite for Telesat toward its planned perch more than 22,000 miles over the equator. 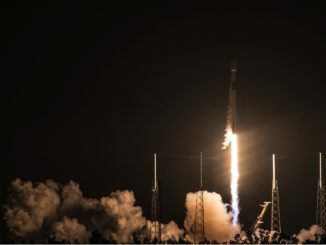 A SpaceX Falcon 9 rocket climbed away from Cape Canaveral early Sunday, and its first stage booster returned to a drone ship parked in the Atlantic Ocean after sending a heavyweight commercial communications satellite toward orbit for Telesat. 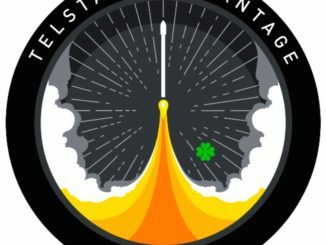 SpaceX’s Falcon 9 rocket is set for liftoff from Cape Canaveral on Monday, heading due east over the Atlantic Ocean to deliver the Telstar 19 VANTAGE communications satellite into orbit around 32 minutes later. 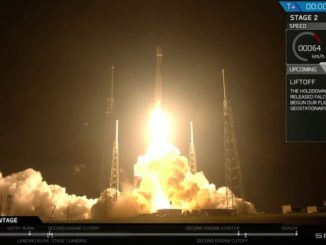 A SpaceX Falcon 9 rocket lifted off from Cape Canaveral at 1:50 a.m. EDT (0550 GMT) Sunday with the Telstar 19 VANTAGE communications satellite, a powerhouse spacecraft designed to beam broadband and in-flight WiFi signals across the Americas and the North Atlantic. 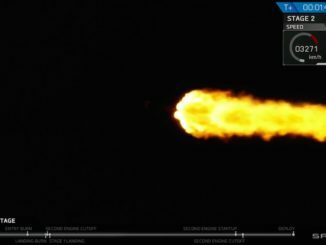 The rocket’s first stage successfully landed at sea aboard SpaceX’s drone ship. 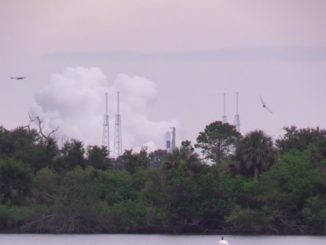 Passing a major pre-flight milestone ahead of a launch and landing planned early Sunday, a SpaceX Falcon 9 rocket ignited its main engines Wednesday for a hold-down firing at Cape Canaveral. 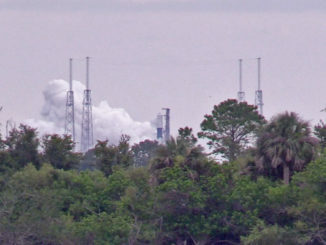 Nine Merlin engines on the first stage of SpaceX’s next Falcon 9 rocket briefly fired up on a Cape Canaveral launch pad Wednesday, and the launcher cleared a customary pre-flight checkout in preparation for liftoff early Sunday with a Canadian-owned communications satellite. 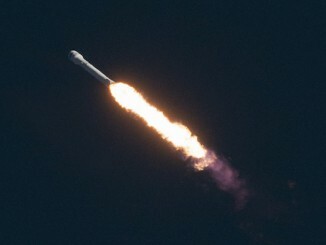 SpaceX is preparing this week for the second flight of the upgraded “Block 5” version of the company’s Falcon 9 rocket, and a hold-down firing of the booster was accomplished Wednesday at Cape Canaveral ahead of a middle-of-the-night launch this weekend with a Canadian-owned commercial communications satellite. 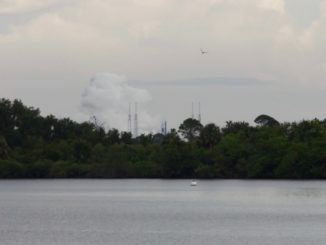 The static fire test occurred at 5 p.m. EDT (2100 GMT) Wednesday. 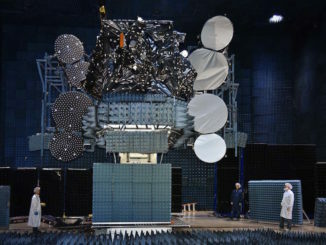 The Canadian telecom satellite operator Telesat plans to launch two multipurpose communications spacecraft aboard SpaceX Falcon rockets in 2018, the company disclosed this week in a quarterly earnings announcement.